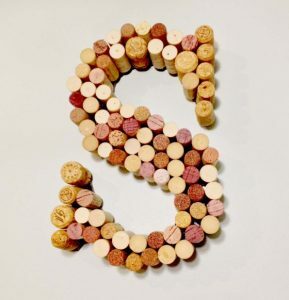 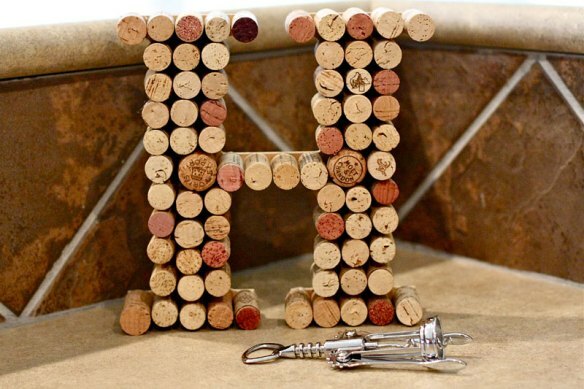 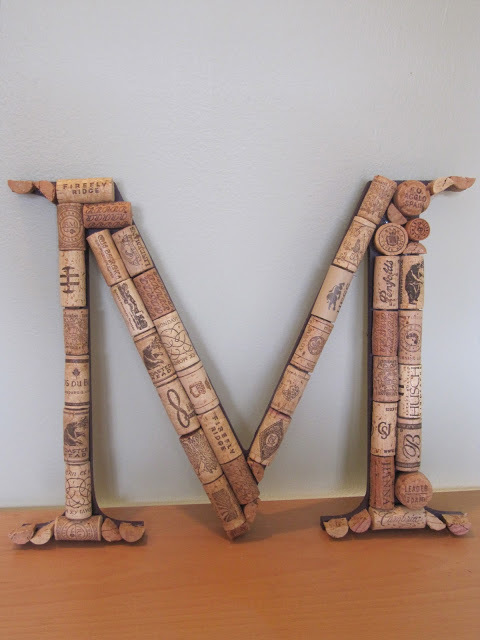 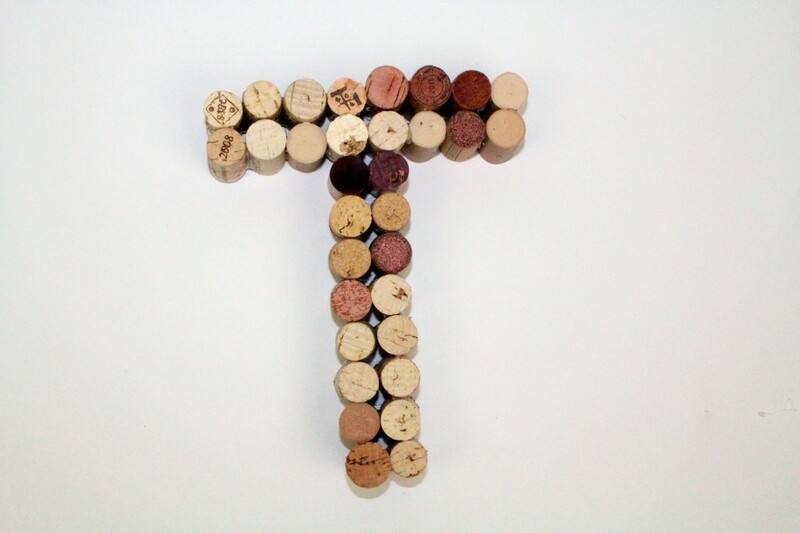 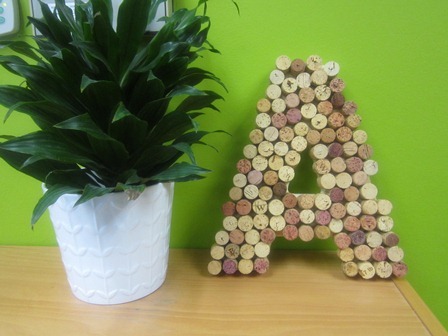 Indulge in crafty fun by making these adorable wine cork letters that look gorgeous as décor. 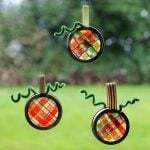 Put them up on the front door to announce the initials of the inmates inside. 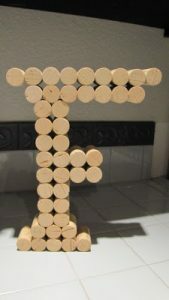 While organizing a birthday party, what better way to wish the birthday kid than to make the backdrop of the celebrations with these quaint letters? 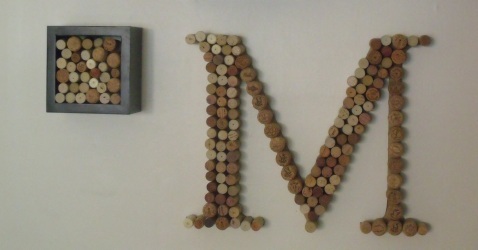 This project involves hot gluing wine corks in 2 neat lines over a paper template of the letter T.
For this, cut wine corks into quarters with a tiny saw for fitting the base of a 12”wooden frame of the letter M. The upper parts can be covered normally with the full-length corks aided by hot glue. 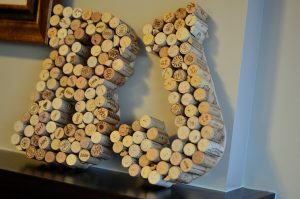 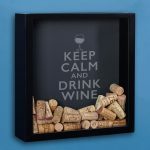 A wooden letter of your choice, a hot glue gun, some glue sticks and about a 100 wine corks depending upon the size are all you need for this simple project. 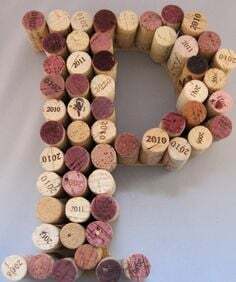 Similarly, you can make the wine cork letter P to adorn your bedroom walls if that happens to be you or your spouse’s initial. This project gives you the perfect excuse to get away from the digital world and indulge in something creative. The chance to recycle old wine corks comes as a bonus. 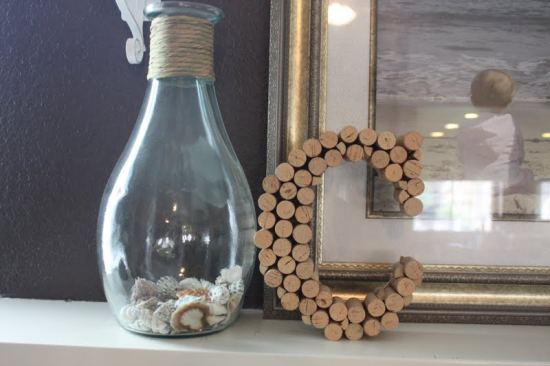 The curvaceous letters like C need a little more care while making. 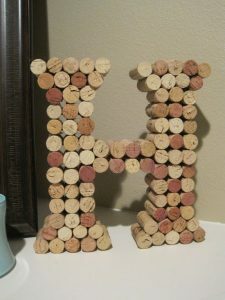 Note how the edges of the wooden letter that are left uncovered by the wine corks are painted in a shade that matches with the background. 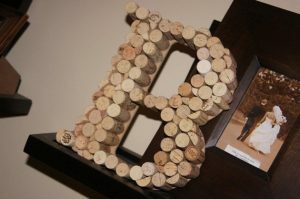 The letter B looks perfect on the mantle beside your beloved wedding photograph. 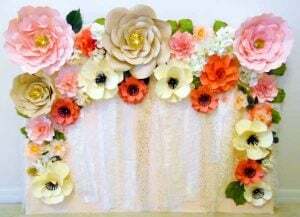 Sample a video tutorial on it. 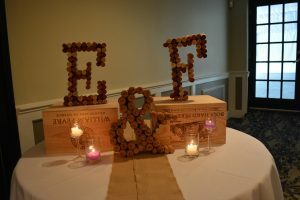 A giant monogram as a wedding gift would be treasured by any couple walking down the aisle. 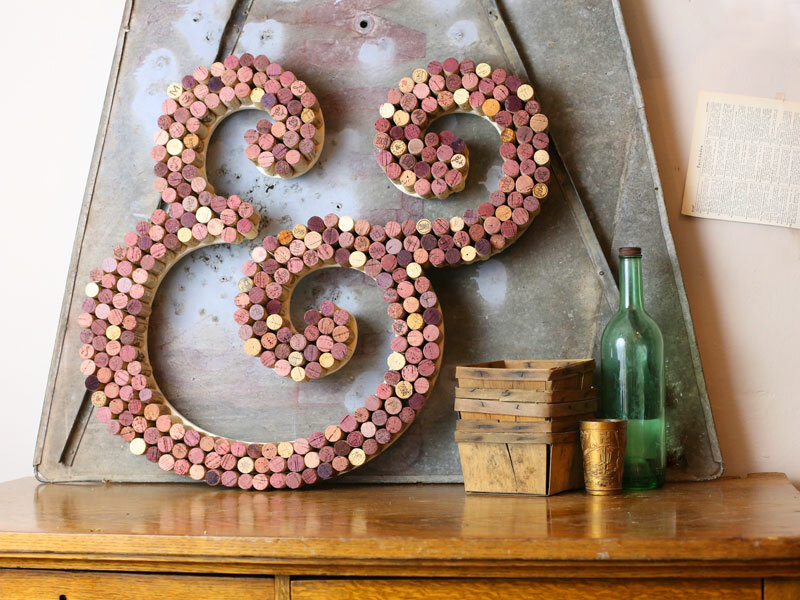 Tinted wine corks add to the looks. 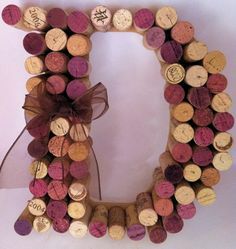 Wrap a tulle ribbon around the letter for a delicate look. 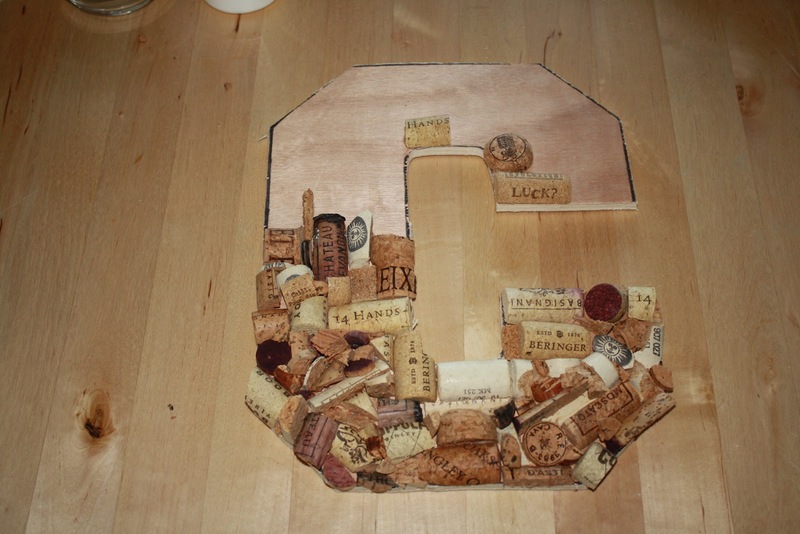 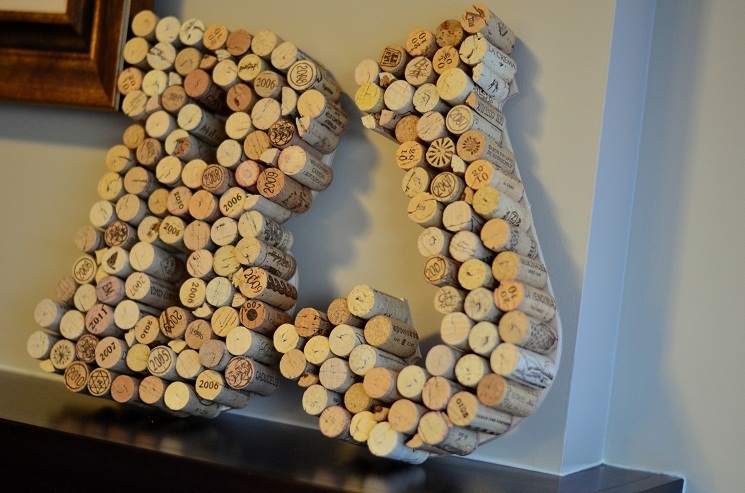 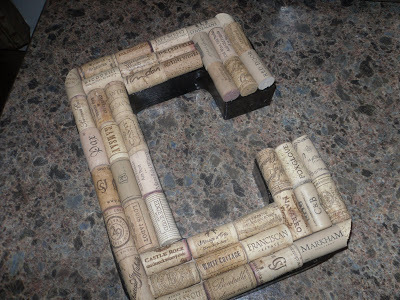 Just grab a handful of unused wine corks and glue them in order to make this lovely 3-D letter. 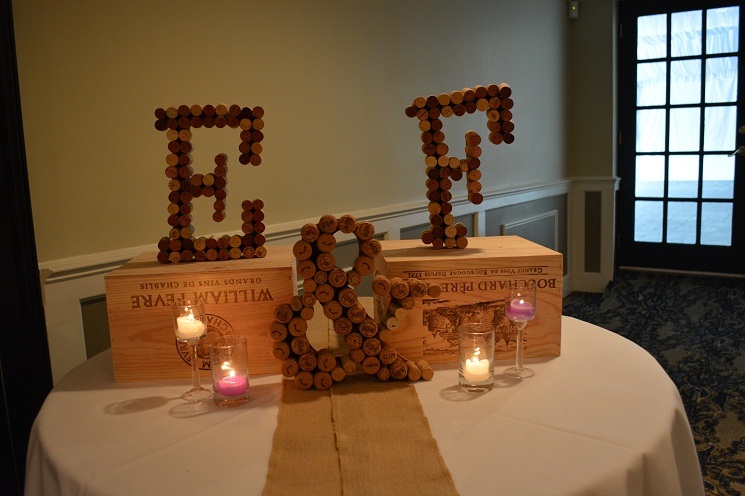 This romantic “E & F” arrangement of letters is perfect for a candlelight dinner with your date. 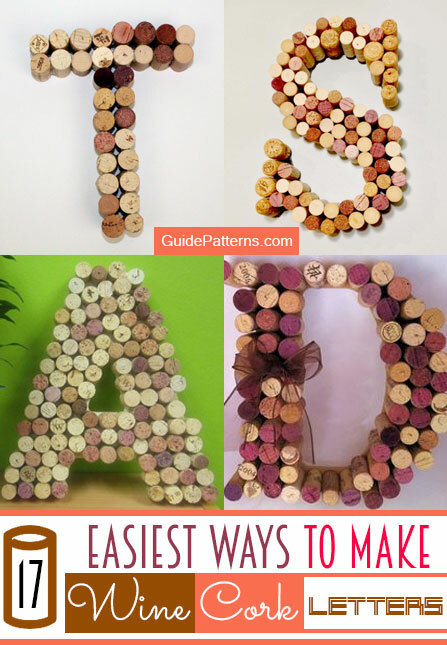 Click on the above link to learn the steps. 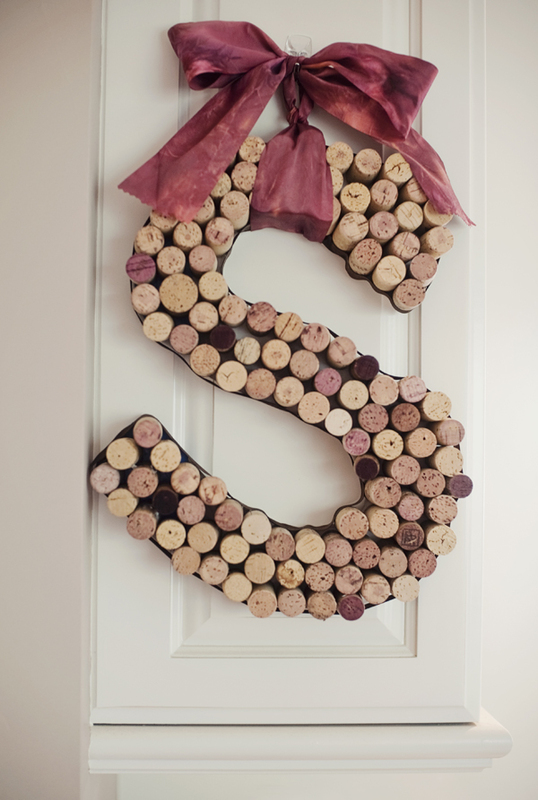 The letter S with a cute bow at the top serves the purpose of a door wreath while welcoming guests, albeit without the flowers and leaves. 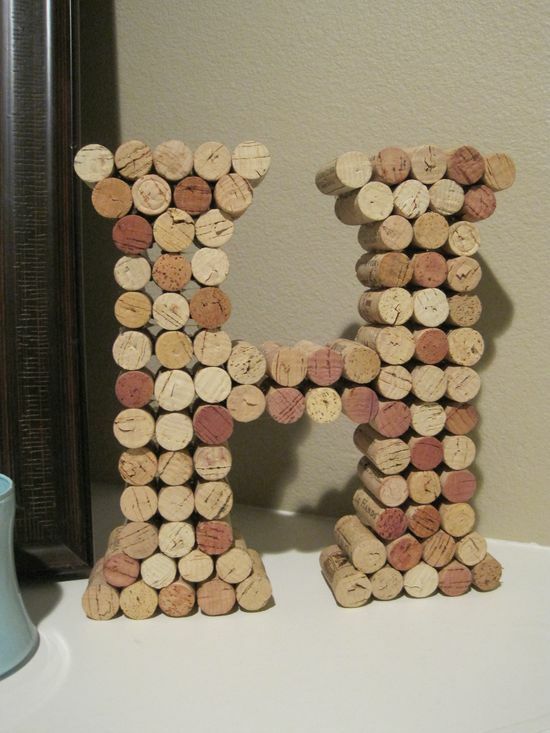 Apply the knowledge gathered here to craft other letters like k, l, g, j, r, o, v, w, etc. Have a whale of a time watching your guests admire the beauty of your homemade letters and being congratulated on your work.